Cittaslow International organizes an international event to promote, across the world, “concepts” and “projects” which represent the reality and the idea of being Cittaslow. Cittaslow Int'l, establishes the world Cittaslow Day to spread the word about us. On this day every year all Cittaslows can propose and organize one or more of their own local initiatives in order to promote and disseminate the concepts of our collective action. We have to respect and love the Earth, our “Mother Earth”, as Carlo Petrini asserts, and this is possible if everyone realizes the Cittaslow projects, day by day, all of us – mayors of Cittaslow towns, citizens and visitors, entrepreneurs and policy makers – by making one’s contribution to a “cleaner, better, fairer” world. The issues are the same as Cittaslow confronts: environmental policies (energy, transport – bicycle and pedibus, climate change, use and defence of the soil, enhancement of the landscape, biodiversity, etc. ), social policies (inclusion, social responsibility, education, identity, etc. ), agriculture and local produce Cittaslow Markets, etc. ), sustainable tourism, citizens’ awareness of being a positive counter-culture, even more necessary nowadays, when the crisis of the system of fuel, food and finance is linked to another crisis of relations, values and the prospects of quality of life of the future generations. “Cittaslow future” is our perspective for the mayors, the citizens of the 252 associated Cittaslow, scattered in 30 different countries. “Cittaslow Future” is the proposal for a “positive contamination” that, through the little Cittaslow, engages the big metropolises and the entire society, with positive effects on the overall ecologic imprint of global human activities. On Sunday 30th September 2018, every Cittaslow of our movement should introduce its own programme of at least one event on the theme “Cittaslow”, to be organized on their own territory. The events are totally organized and financed at local level but receive support from Cittaslow International (web portal, blog, International press agency, publications, graphic design, etc.). The events organized can vary according to the possibilities and the experience available to each Cittaslow. For example, the programme will range from the Cittaslow Markets organized to demonstrations and information organized by Terra Madre, from the organization of a public assembly that illustrates the essence /advantages of “Being Cittaslow” in the various communities to the photographic show with slow life personalities, projects and designs illustrating the slow life of our towns; from the training initiatives on taste and slow life for schools and from the promotion of educational municipal vegetable gardens in schools and universities to the musical shows with crafts and street artists as well as zero-kilometre food producers; from workshops on sustainability and the landscape aimed at citizens and local stakeholders to the exhibition on technology for saving and reusing as well as protecting the environment, with particular reference to renewable energy technology. Demonstrations and information initiatives will also be possible in order to enhance “social responsibility” in the community. As well as cultural exchanges among different people, social inclusion and solidarity projects, conferences with scientists and experts operating in the various areas touched on by Cittaslow action. 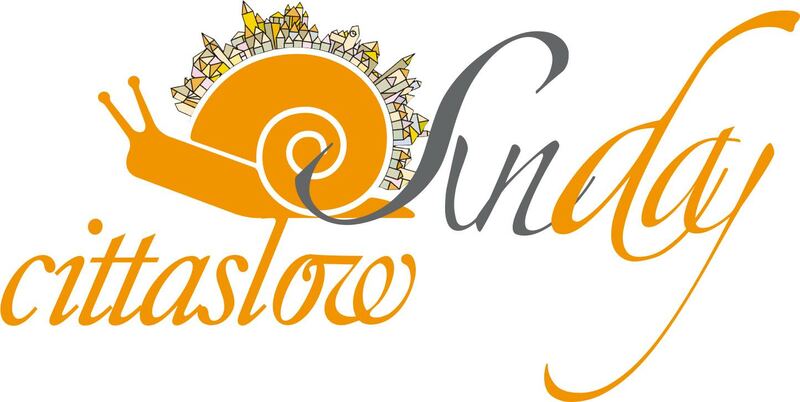 The activities planning will be promoted in a unitary form, so that every Cittaslow will be part of a unique “slow” kaleidoscope that represents, and brings alive the tessera of, our “slow” mosaic in all the 30 countries. Scandiano (Italy): October 7 - Event A te, Scandian “ orto” gentil..